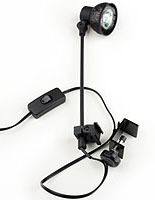 The display lights for trade shows have an adjustable 60 degree range. 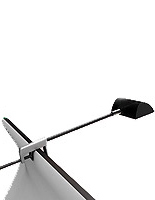 The clamp will fit with anything from a poster to pop up unit. 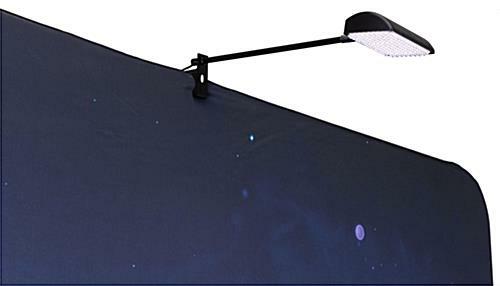 The portable banner stand display lights are made with a strong ABS plastic as well as iron and aluminum to prevent overheating. 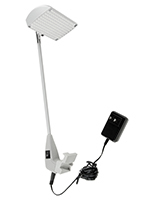 The 60 degree range is great for larger exhibits or smaller spaces. 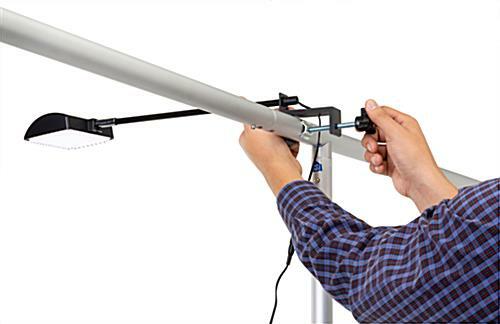 The display lights are supported by a strong 3M wire and clamp for easy installation. 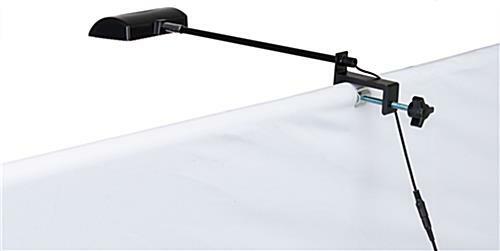 Buy your banner stand and exhibition accessories at Displays2Go today! The lights were good - but the two didn't match!? They were different colors which looked sloppy. I would like to get a replacement. Mae, we're so sorry that your spotlight came with two different colored lights. We'll have a customer care specialist reach out shortly to resolve this for you. Thank you for bringing this to our attention. The lights are strong enough to provide ample lighting, but not so strong that it's overpowering. They are easy to hang and they look nice. I wanted something that didn't look industrial, and these are perfect! Thanks for the great review, Tracey! We're so happy to hear these work so well for you. We hope you shop with us again soon! 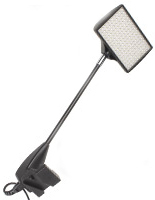 I recently purchased 50 of these lights for an art show. Everyone involved was thrilled with the unit, beam angle, ease of installation and most of all the quality of the light. Displays2Go customer service was very helpful. All we can say is WOW! This looks incredible, Dan! We're so glad these spotlights worked so well for your art show! Thanks so much for taking the time to review and send us a photo. We hope we can work together again soon! Nice bright white LED light. 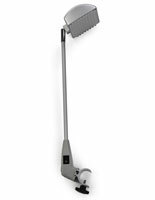 The clamp is large enough for several different uses. 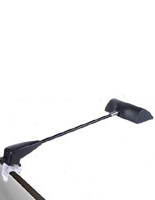 Adjustable head with a long cord.